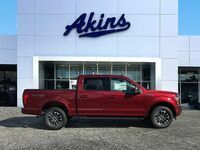 For a long time now, the full-size pickup truck segment has been a one horse race, with each new Ford F-150 lineup offering best-in-class capability and best-in-class power every new model year. Chevrolet has tried to keep up and make its rivalry with Ford relevant again, but it’s failed to do so for quite some time now. That brings us to Ram, which is now trying harder than ever to be more than just an after-thought with the 2019 Ram 1500 lineup. 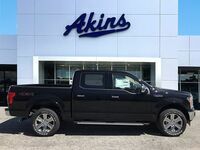 That’s why we decided to put together this 2019 Ford F-150 versus 2019 Ram 1500 full-size pickup truck comparison. Now, everyone knows the 2019 F-150 lineup once again boasts best-in-class features and capabilities, but let’s take a closer look at the two pickup truck lineups to see if the 2019 Ram 1500 can at least make it a close race. 450 HP & 510 lb-ft. Maximum Horsepower & Torque Ratings 395 HP & 410 lb-ft.
3270 lbs. Max Hauling Weight 2320 lbs. 13200 lbs. Max Tow Weight 12750 lbs. 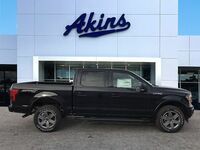 For the purposes of this 2019 Ford F-150 lineup versus 2019 Ram 1500 lineup comparison, we’re going to take a look at how the two full-size pickup truck lineups stack up against each other in the four categories most important to truck-shoppers – engine options, power ratings, towing ratings and payload ratings. 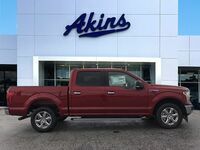 The 2019 F-150 lineup offers twice as many engine choices as the 2019 Ram 1500 lineup, and those engine options are also more powerful than the engine options of the 2019 Ram 1500 lineup. 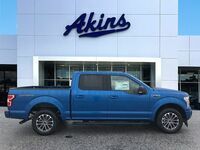 More specifically, the 2019 Ford F-150 lineup offers a maximum horsepower rating of 450 and a maximum torque rating of 510 pound-feet, while the 2019 Ram 1500 lineup offers a maximum horsepower rating of only 395 and a maximum torque rating of only 410 pound-feet. 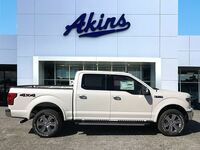 The maximum towing and payload ratings of the 2019 F-150 lineup – 13,200 pounds and 3,270 pounds, respectively – also outmatch the max towing and payload ratings of the 2019 Ram 1500 lineup – 12,750 pounds and 2,320 pounds, respectively. 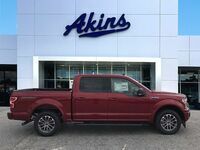 To learn more about the 2019 Ford F-150 lineup, please contact our Akins Ford staff near Atlanta, GA.